This is a mini package service for local city tour usages. We offer this service for half day car hire services including Airport Transfer in Patna, Car rental service for Marriage, party and event, Corporate Cab Rental in Patna, Railway Transfer, visiting hospitals and a lot more. At My Taxi India, we offer special packages for outstation travel. These are a perfect choice for weekend getaways, trip with friends, excursions, and family leisure trip outside the city limits. Here, we will take special care of your interests and requirements before arranging for a package. We also arrange for group packages from Patna to places nearby. The cars sent across will accommodate group size to ensure maximum convenience. This is an emblematic to and fro service in Patna for those interested in making to and fro trip to Patna. The service is available for multiple destinations from Patna. The package has been fashions one way service to those who require one way drop to their destinations from Patna. The packages listed above are designed keeping in mind specific requirements of Patna travellers. We also offer special Patna city sightseeing tours and any other customized cab rental packages. 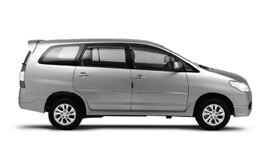 At My Taxi India, we guarantee the best car rental services in Patna at highly affordable prices. Patna experiences a humid subtropical climate with extremely hot summers, monsoon from late June to late September and extremely cold winter. Winter season here is categorised with bitter chilling nights and foggy or sunny days. Presently, according to census 2011 the total population of Patna is 1,683,200. Patna has long been a primary agricultural center of trade. It actively exports grain, sesame, sugarcane, and medium-grained Patna rice. The city is home to a number of sugar mills. Patna, the capital city of the state of Bihar is beautifully situated on the southern bank of the holy river, Ganges. Centuries back, the city served as the capital of the mighty Magadh and Mauryan empires. Today, one can see the remains of several inspiring monuments reminding one of the affluent past of this city. There are many significant tourist places worth visiting while on a trip to Bihar. The famous Shershah Masjid was built by the popular Afghan chieftain Sher Shah Suri. The place is also famous for excavations at Kumhrar and the Har Mandir Temple, an important pilgrimage for Sikhs here. Once here, you must also visit the famous Golghar built as a granary by the British, Jalan Museum displaying gleaming collection of silver and jade filigree work from Mughal era, Vaishali, Buddhist centre of East India, Sasaram, Bodhgaya, Nalanda, Rajgir etc.